The challenge of an ageing population is faced by many regions and countries in Europe, and integrated care is a recognised solution to it. Increasing the readiness and capacity of regions to be able to implement integrated care is crucial. In Scotland and in the Puglia region of Italy, a knowledge transfer exercise has been undertaken using the Scirocco model to do just that. The two-way exchange has been mutually beneficial in identifying strengths and weaknesses in both systems, as well as highlighting areas where there are clear opportunities for knowledge and practice transfer. Scotland, as other regions and countries in Europe, is facing the impacts of an ageing population. The current focus on hospital-based, disease-based and “silo” curative models undermines the ability of the healthcare system to provide high-quality and financially sustainable care. 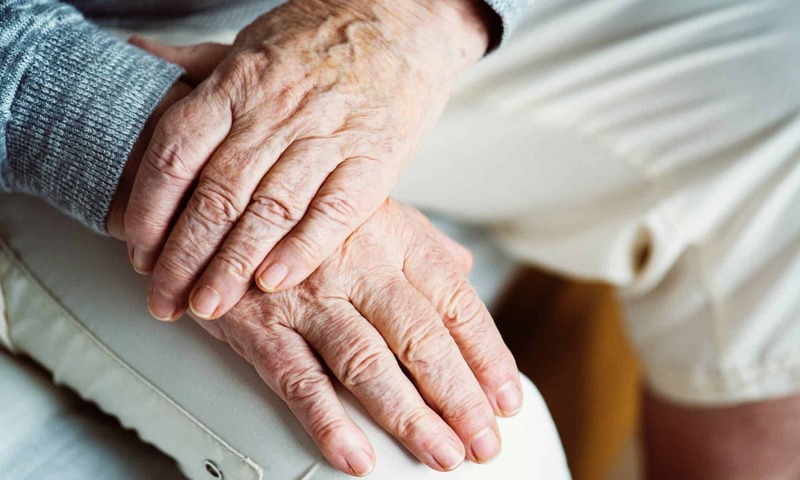 The Technology Enabled Care (TEC) Programme was set up by the Scottish Government to address the need to focus on primary, community, and home-based care rather than acute specialities. The objective is to ensure that outcomes for individuals, in home or community settings, are improved through the application of technology as an integral part of quality cost-effective care. It has provided a national focus; the profile and visibility of TEC has been significantly increased, leading to a greater cohort of individuals championing its use. However, the mainstreaming of the TEC initiatives into routine care still remains a challenge. Therefore, the opportunities to introduce and maintain these initiatives as ‘business-as-usual’ were further explored with Puglia Region in Italy, as part of the twinning and coaching activities organised in SCIROCCO EU Health Programme funded project. What is the SCIROCCO tool? The SCIROCCO (Scaling Integrated Care in Context) tool is a conceptual model for regions to assess their rediness for integrated care. It was developed by the European Innovation Partnership on Active and Healthy Ageing’s Action Group on Integrated Care. 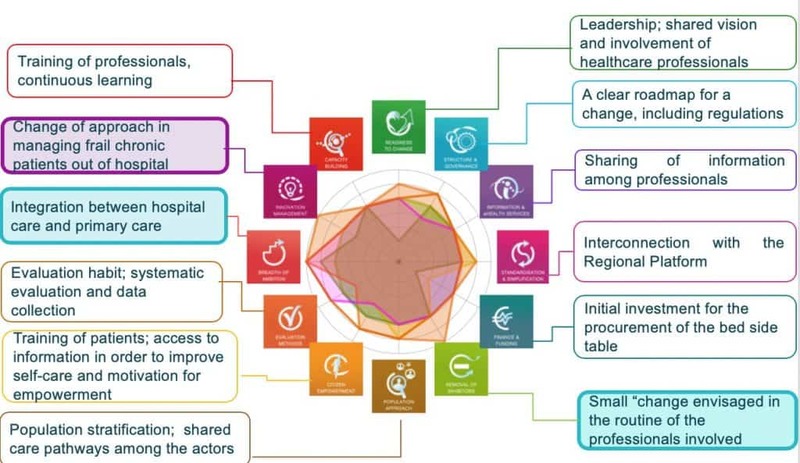 The aim was to develop a self-assessment tool that will facilitate the successful scaling up and transfer of good practices in integrated care across European regions. 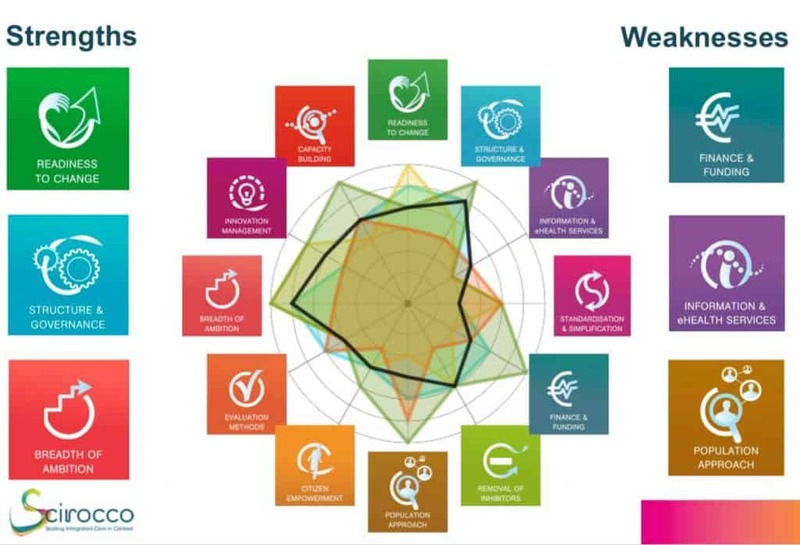 The SCIROCCO tool explores how strengths and weaknesses match, and provides a basis for successful twinning, and practical support to scale up good practices. 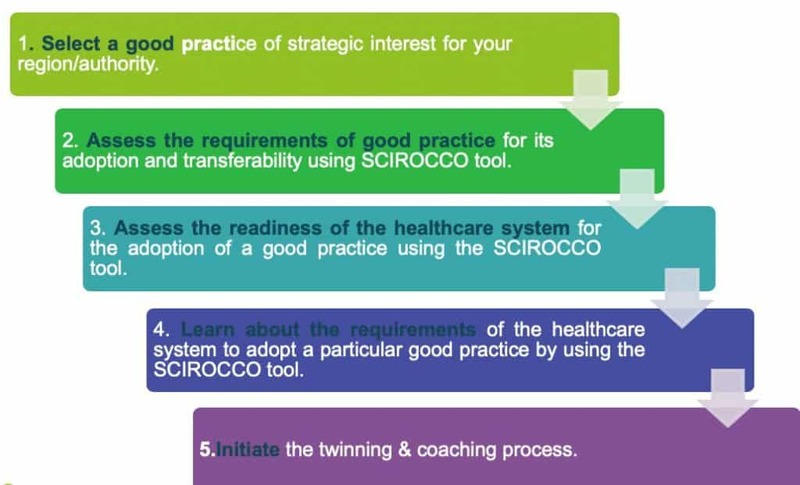 Why use SCIROCCO tool to facilitate the knowledge transfer? The Hospital@Home (.pdf) integrated care solution in Puglia was conisdered as a solution strategically aligned with Scotland’s ambitions in TEC and wider digital health and care agenda. Hospital@Home is a technological support for existing structured activities in home care. The main objective is to reduce hospitalisation and re-hospitalisation rate, and to improve the quality of care for patients at home. Selected patients are telemonitored by their General Practitioners by using the innovative home and health monitoring technological solution (Hospital@Home). This solution is able to detect the main clinical and instrumental parameters in addition to the therapeutic administration, based on oxygen and bronco-aspiration. It is placed in the patients’ home and is permanently connected to the General Practitioner and/or Specialist office, by computer, telephone, tablet and other devices. At the same time, there is a central monitoring room at the hospital in the town of Ceglie Messapica (Brindisi) for all patients and all devices located in their homes. The system allows the healthcare professionals (neurologists, pulmonologists, cardiologists, diabetologists, etc) to monitor and speak with patients remotely. The patients can also trigger a visit from the healthcare professionals in their homes. In addition to real-time monitoring of physiological parameters, the healthcare professionals can also monitor the physical and technical characteristics of home device. As a result, it is possible to deliver therapy to the patient remotely. A study visit was organised for the experts from Scotland to Bari in Italy on 12-13 June 2018 in order to explore to what extent the features of Hospital@Home solution can be transferred and adapted to inform the improvement of the community, home-based care initiatives in Scotland. The outcomes of the twinning and coaching activities informed the development of Action Plan for Scotland. The objective of the Action Plan is to reflect on the possibility to transfer and adopt the learning about the Hospital@Home solution in Puglia Region to local settings in Scotland, including the feasibility of the transfer and recommendations on policy priority actions that would enable the creation of local conditions for the adoption of this solution. 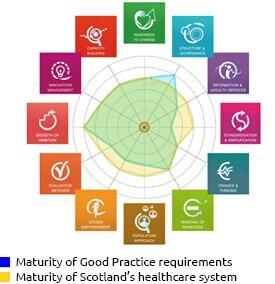 A score (2-4) was given to the systems in Puglia and Scotland, the features of the good practice were explored, as were the features of Scotland’s health system. Finally, the feasibility of transfer and the rational behind it was assessed: firstly if transfer is possible, and if so would it be transferable with little effort, some effort, or substantial effort. The detailed outcomes of the study visits are captured here (.pdf). Promote the benefits of systematic evaluation; Improve the quality of the data collection to demonstrate the value of the service. As such, the Action Plan helps to inform the future strategies and policies related to community, home-based care initiatives, in particular new Digital Health and Care Strategy for Scotland, Health and Social Care Delivery Plan, and on-going reform of the primary care transformation. 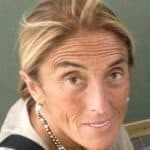 Dr Francesca Avolio is Head of the Intarnationalisation Unit, Regional Strategic Agency for Health and Social Care of Puglia (AReSS Puglia), Bari. Francesca comes from a legal background with specific competence in management and organisation of Healthcare Services. She is responsible of the Service for Health Internationalisation and relations with EU. 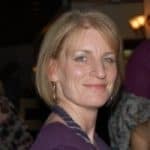 Donna Henderson is Head of International Engagement, Technology Enabled Care and Digital Healthcare Innovation Division, Scottish Government, Edinburgh, Scotland. Her role is to support the development and implementation of digital health and care services and innovation in Scotland by building partnerships within EU and international networks to foster collaboration and secure inward investment from the EU and other sources. 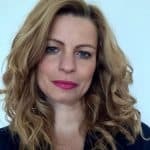 Dr Andrea Pavlickova is International Engagement Manager, Technology Enabled Care and Digital Healthcare Innovation Division, Scottish Government, Edinburgh. Her role is to support international engagement and collaboration of Scotland in the area of digital health and care by securing and managing projects focusing on the deployment and scaling-up of digital health and care solutions, building-partnerships and knowledge exchange opportunities within EU and international networks.